Rabbi Chananya Hoffinger created Gemara Academy after four years teaching high school. The methods teachers used when he was in school weren’t working for his classroom. He began to tweak his lesson plans, adding in images and flow charts to help his students follow along. By the next year when the new program was fully implemented into the classroom, student attendance increased from 75%-95%. Using PowerPoint, Gemara Academy synchronizes text-based and visual-based learning, using color codes in the text and charts, introductory outlines and pictures to reach many types of learners. The latest version which will be developed and made available throughout this year is interactive, allowing students to explore concepts at their own pace. Audio features help with pronunciation and translation. The voice-over also explains each portion of the classes. The presentations guide students to identify the bigger picture, so they don’t get lost in the details. Also, over time students can recognize the style and tools the Gemara uses. Once they understand the patterns, students can approach new material with confidence. 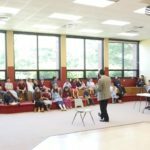 Rabbi Dovid Nojowitz, National Director of Torah Umesorah, says Gemara Academy is a “valuable and effective tool” that helps Talmidim understand the structure of how Gemara works. So far, 10 yeshivos have implemented Gemara Academy, which is also available for purchase by individual students as a home study aid. Teachers, tutors and students can access over 1,000 classes which are all available online. There are also over 300 videos on the website that have been viewed over 10,000 times and that are all available to any user. 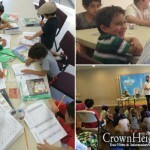 Gemara Academy is currently offering a free 1-month trial. 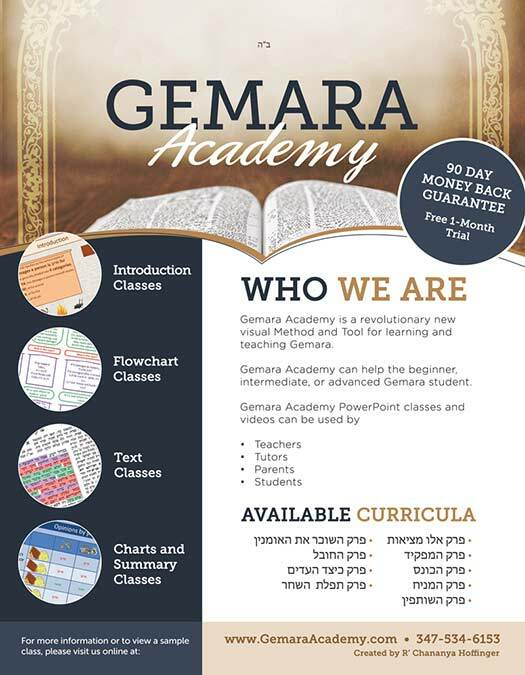 To find out how the program can unlock the power of Gemara for you and your class or for your own learning visit www.gemaraacademy.com. How do we get our kids’ schools to use it? I don’t really understand the purple arrow shape. I mean questions, answers I get, but what’s the arrow? Do you have a time frame for when the whole program will become interactive with the hotspots? I can’t imagine how one person could have done such a huge amount of material. Is there a team behind the scenes? I a few of us get together is there a group rate or discount for yeshiva of individual students get membership as well? The interactive classes are now being developed on פרק כיצד העדים. Each 6 weeks another one of the פרקים will be completed with the interactive part. There are about 75 classes on each פרק and it covers about 7 בלאט of that פרק. The arrow basically means that it’s information that leads into a question or answer or information that supports a question or answer. The arrow serves to indicate that it’s not the question or answer itself, this way a student doesn’t get so overwhelmed with the lengthiness of the discussion. Regarding the cost it depends if it’s being used by an individual or a Yeshiva. Every school should implement it ! If a school licenses to use Gemara Academy, then if the school has laptops or tablets, the students also each receive their own membership to be able to use the program in school. One of the most brilliant academic platforms I have ever used. Rabbi Hoffinger’s work is distinctly outstanding, lucid, and pleasurable. This program is second to none. It takes what has been overwhelming to many of us and makes it so crystal clear without “dumbing down” the material even one drop!!! 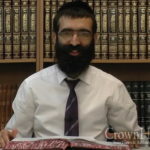 I am an 8th grade Rebbe, and use Rabbi Hoffinger’s material. I find that it actualy helps ME to clarify the order and structure of the Gemara. it is a great asset to teacher’s students, Tutors or parents looking to help their son. if your school is not using ASK FOR IT!!!!!!!!!!!! Hatzlacha Rabbi Hoffinger and thank you for helping ALL boys feel like Gemara is for them!!!! It’s great for parents who are not so clear in Gemarrah themselves to be able to review with their child without looking stupid! Love it! Chazak V’Amatz! amazing work from the holy land! Chananya this program is great! It’s clear that you invested a lot of time, energy and soul into this. You’ve accomplished something that will change the lives of so many students, young and old. Way to go trailblazer! I am so thrilled that dedicated mechanchim like Rabbi Hoffinger are using out their kochos and creativity to help our children learn. I’m sure the Rebbe gas much nacnachas! An irreplaceable tool for all yeshiva students!!! You have use your intelligence and patience to create a one-size-fits-all program! It now makes Gemara approachable for teachers, students, learners, parents, ladies and girls.